Established in 1986, N & B Foods has grown from small enterprise into one of the leading independent food service companies in Southern England. 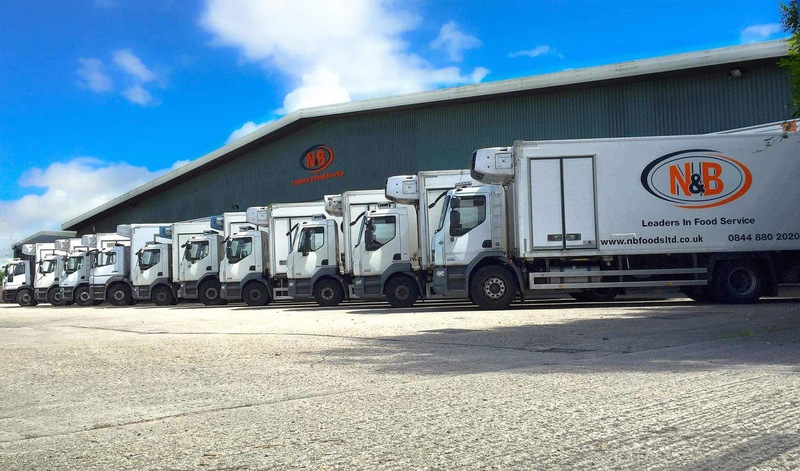 Family owned and family run, our focus has always been delivering a wide range of products across frozen, ambient, chilled and non-foods at consistently low prices to catering premises right across southern England and South Wales. Due to a sustained period of growth, we are currently looking for HGV CLASS 2 Drivers, based at our Swindon depot. Applicants must have a valid class C licence, CPC card and a Digital Tachograph card. We can provide CPC training for any drivers that require it. Experience preferred, but full training will be provided. - Delivering customers orders accurately and on time. - Checking vehicles to ensure vehicle road-worthiness and compliance with VOSA regulations. - Complying with Health & Safety (SSOW), hygiene and other vehicle related legislation. Working hours are Monday-Friday day shift work – NO NIGHTS OR WEEKENDS. We are offering a starting salary of £24,500 per annum, rising up to £28000 per annum if agreed KPI's are met/exceeded. You will receive 28 days holiday per year and enrolment on the company pension scheme.